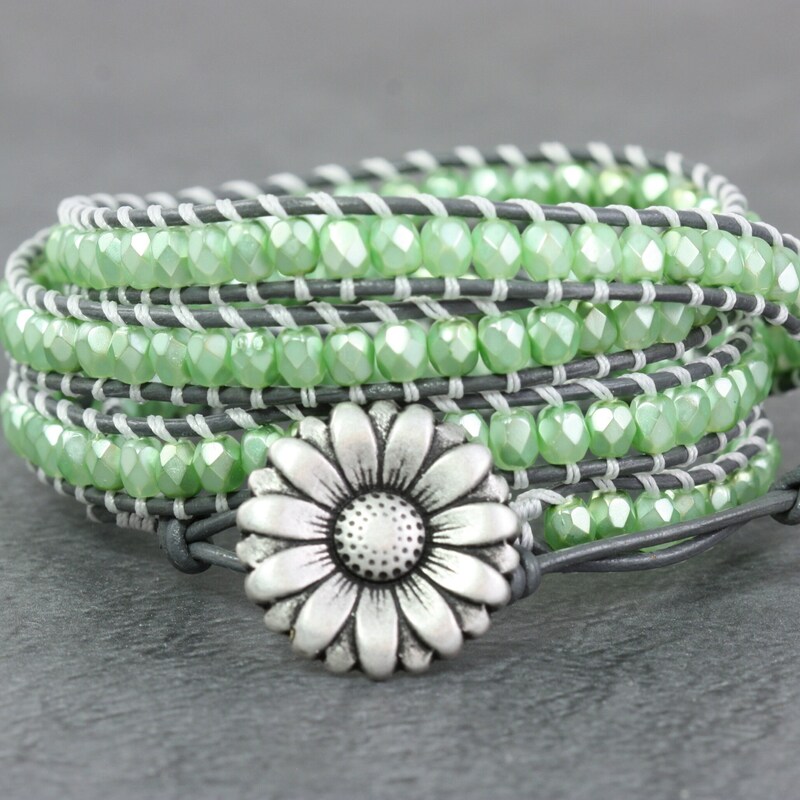 Four gorgeous wraps of Czech beads (4mm) in a sweet shade of mint green. Made with gray leather cord. Perfect for dressing up or with your favorite blue jeans. Gotta have it! I added a fun silver flower button and hand strung the beads using white nylon thread. This bracelet has 3 loop closures which measure 25, 26, and 27 inches for a custom fit. Please contact me if you'd like a different length made just for you.